Fruit of the Sea at Millikens Reef in Cape Canaveral, Fla.
Home is where the heart is, and for me it is also where my stomach is. While San Francisco is one of the best foodie cities, Florida seafood just cannot be beat. 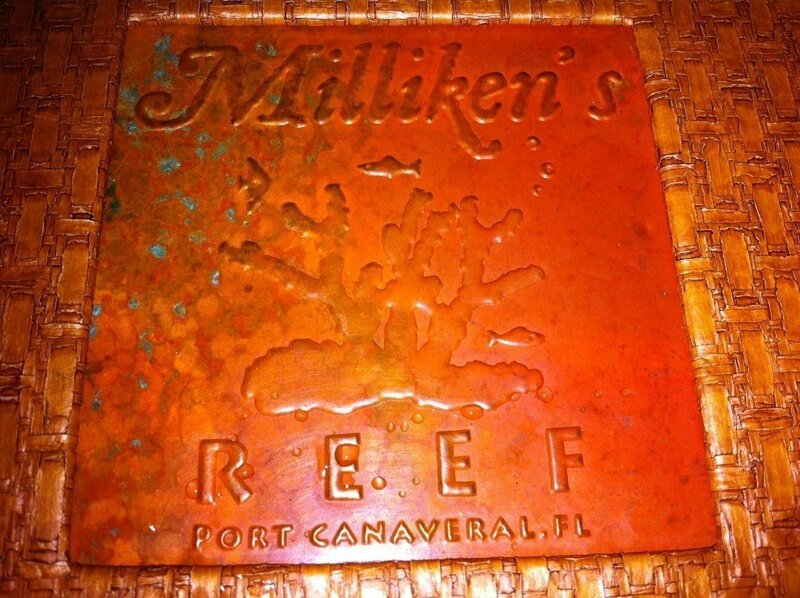 So, whenever I return home getting seafood is always on the itinerary, and Millikens Reef in Cape Canaveral, Fla. is one of my favorite places to visit. Millikens Reef sports a waterfront view and is located in the heart of Port Canaveral, so it is a great place for viewing the cruise ships. The restaurant also has a rockin’ outdoor patio complete with raucous beach goers; a tiki bar; and live music. It makes every day feels like Spring Break. On my last trip home, we decided to go for a low-key evening and opted for the indoor dining area. Each meal at Millikens starts with bite size hush puppies that are served with cinnamon butter. These cornbread balls are deep-fried to perfection and are crispy on the outside and soft and warm on the inside, so the butter melts right into the nooks and crannies. It is hard to not want to make a meal out of them. But I had to save room for the main event. If you are like me and are looking to dabble in all the goodness the ocean has to offer – check out Millikens’ Deluxe Shore Dinner. The entrée includes flounder, half a lobster tail, scallops, shrimp, deviled crab, oysters and your choice of a side (of course I went for sweet potato fries). There is a very delicate balance when it comes to cooking seafood, and each item from my meal was well executed. The highlight for me was the two-bite raw oysters. These giant shellfish were sweet and tender with a hint of saltiness. Having them raw really allows you to appreciate them in their pure form. With swaying palm trees and stunning views overlooking the Atlantic Ocean, Millikens Reef has that Florida charm. Coupled with some of the freshest seafood around – it will remain one of my top destinations whenever I return home. Those hush puppies look fabulous. So good! I had to try and stop myself from stuffing my face!